It only seems right to start the new year off with a few tips to help you keep your most important new year’s resolution, which of course is to garden more. 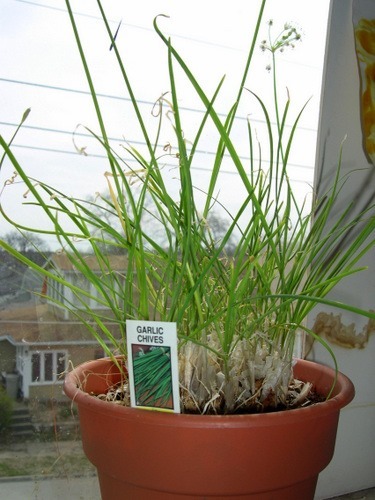 It is easy for new gardeners to fall off the bandwagon because they haven’t caught the bug yet. The easiest way to ensure that you will never want to give up on urban gardening is to plant your garden as close to the kitchen as possible. It stands to reason that if you are growing food to eat, you will want that food to be as close as it can be to the area where you prepare your food. Just because you may not have a plot of earth in which to plant the dream garden under your kitchen window doesn’t mean that you can’t make it happen. From raised beds and garden boxes to containers of every shape, size, and color, if there is one thing I have learned over the years it is that anywhere you have a willing gardener, you can have a garden. If square footage is your issue, why not consider going vertical with a trellis? There are plenty of fruits and vegetables that will thrive when allowed to climb! Finally, even if you have no space to plant outdoors at all, you still don’t have an excuse, because anyone can plant a small herb garden in containers right in a sunny kitchen window. Where there’s a will, there’s a way so don’t give up your resolution to help your family grow and eat healthier food in 2013. 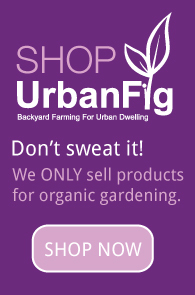 At UrbanFig we’re here to help every step of the way.